This is the third in a series of handmade quilts that were featured at the 2017 Piece and Plenty Quilt Guild in Rolla, Mo., a quilt show held bi-annually. 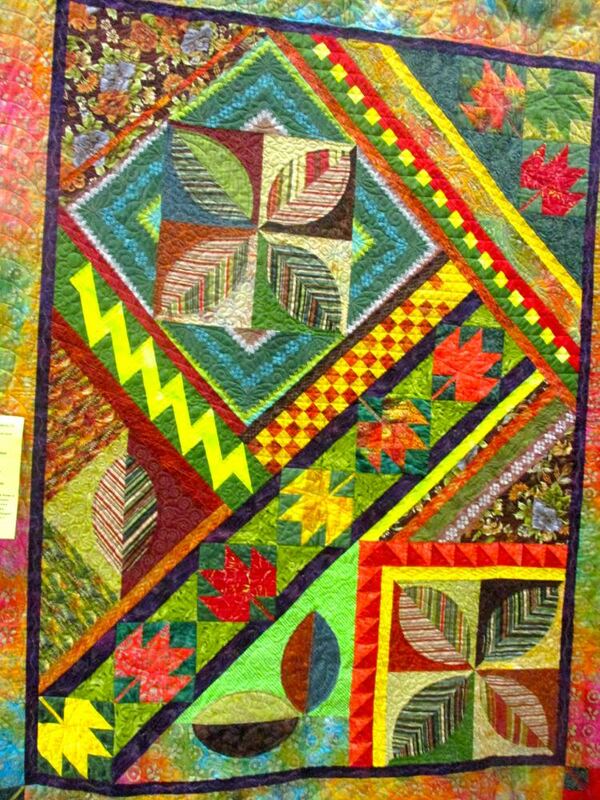 Each one of these Ah, Autumn handmade quilts featured a special fabric or detail incorporated by the quilter. This particular version of the Ah, Autumn handmade quilt also has very bright colors as opposed to the muted greens, burnt reds and browns one traditionally associates with fall colors. 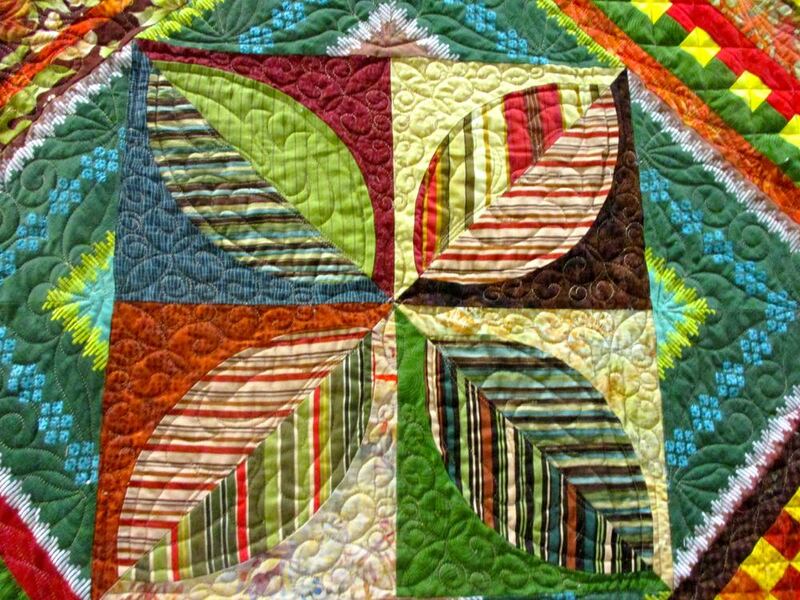 The signature four leaf block also reflects the quilter’s fabric choices. Harriet, who I know as a friend through master gardeners, made all of her leaves with striped fabrics. As I was reviewing the fabrics I realized this quilt reminds me of the color combinations in one of my quilts our Lime Green Double Wedding Ring Quilt. As fall ends its reign, I enjoy looking at these various Ah, Autumn handmade quilts and comparing the fabric choices and color combinations. This quilt also features a special fabric, this one from Burma, Harriet’s home country. Every quilt is lovely on its own merit and nicely celebrates the beauty of the season.